Mother’s Day is less than a week away, which means there are only a few days to buy the “perfect” gift for mom. According to statisticbrain.com, $14.6 billion will be spent on Mother’s Day, with the average person spending around $126 on mom for her special day. While flowers and diamonds are beautiful, and everyone loves a card and a day at the spa, these practices are not sustainable. Cutting flowers, mining diamonds, purchasing cards made of paper resources and wasting water at the spa are all the opposite of living green on Mother’s Day. Mom loves the sentiment of these things, but imagine how much more she would love sustainable gifts which are Mother Nature approved. 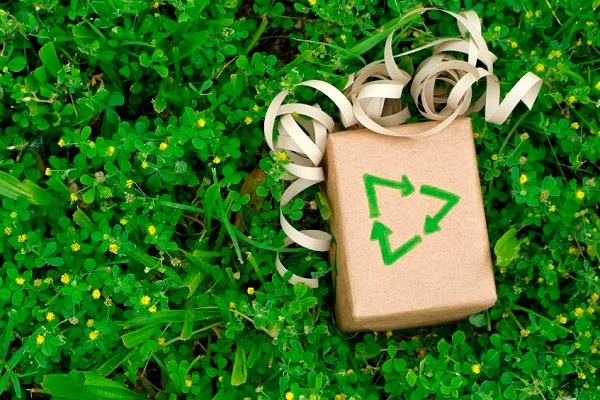 Pair these gift ideas with a homemade card made with recycled paper and a meal of ethically sourced food for an awesome, green Mother’s Day this year. Moms love tea, wine and chocolate. Why not take the extra step to make these gifts organic and better yet, locally sourced, too? Organic tea is much better for you because it is processed with fewer chemicals, and the tea bags are also free of chemicals. Organic and ethically sourced chocolates and wines are also good for you, and your mom can rest easy knowing that she’s consuming these indulgences that are good for the environment as well as good for her body. If you don’t have a store near you where you can go purchase these items in person, try some great companies that ship from the web. For organic, fair trade tea, click here. For wine, click here. For delicious chocolates, click here. What mother doesn’t need something done for her around the house? Does she need her house cleaned from top to bottom, spring cleaning style? Does she need her yard cleaned up to get ready for the summer? Providing a service uses almost no resources, and if you do it yourself, you can make sure to do it in an eco-friendly way. For cleaning, use green cleaning products with no chemicals. You can find them in stores or make your own. For yard work, use chemical-free weed killers and fertilizers and plant an extra tree or bush. Many spas and salons offer eco-friendly spa services. It might take a little extra work, but call around to salons and spas near you to see if you can find one that provides these services at reasonable prices. If you can’t find one near you, try buying your mom some eco-friendly spa products she can use at home. An added benefit to this is that it isn’t a one-time spay day; she can use the products you buy her whenever she needs a little bit of relaxation. I love the idea of planting a few rose bushes in lieu of a bouquet of flowers. Roses are easy to plant and hearty flowers that don’t take a whole lot of maintenance. Once they start blooming, it’s easy to pick flowers to make your own bouquet as you prune the bushes. If the mom in your life is an avid gardener, she will love the opportunity to plant more. If she’s not, consider planting the flowers for her. Then, she’s sure to enjoy their blooms all summer long. If your mom is a lover of all things sparkling and shiny, consider recycling jewelry to create something new for her. Try raiding your own jewelry box or another family members for old pieces that are rarely worn. An experienced jeweler can melt these pieces down and create something entirely new and beautiful. This is also a wonderful thing to do because the piece you end up with will be especially unique for your mom while requiring no new resources to create. If you don’t have jewelry you’re willing to melt down, look for pieces that are made from recycled products. A simple search on Etsy will yeild many beautiful pieces out there made from recycled glass and metals that your mom will love.